Travel back to the happiest day of your life and remember every single gorgeous moment any time you want! Remember the exact way your partner looked at you as you walked down the aisle, a crinkled nose and sparkly eyes just full of nerves and excitement. How your parents tightly held hands during your ceremony and Grandad got a little teary. You have SO many decisions to make when planning your wedding. If you're looking for a professional wedding photographer who is highly experienced, with a naturally beautiful style, you're in the right place and I'd love to help you! Yes! I'd love the pricing and more information! Or scroll down to learn more. Every time we look at our photos we re live our day over and over again and it brings the biggest smiles to our faces. with so many candid and heartfelt shots! My aim is always to capture the emotion or feeling of your day! My skills with people, timing, composition and lighting are the the benefits of years of experience in wedding photography. I confidently approach each wedding with my valuable skill set, and all you need to do is relax and enjoy your day! Planning the most epic day of your life, no pressure, right? Don't worry I will teach you everything I know. Together we're definitely going to have a good time, and keep you on track and stress free! Plus I know lots of lovely people in the wedding industry here on the Sunshine Coast, so if I can't help with something, I'll know someone who can. in the most stunning locations! There's no need to panic if you don't live on the Sunshine Coast. I will share all my local knowledge and help guide you towards your dream wedding in the most romantic location possible! 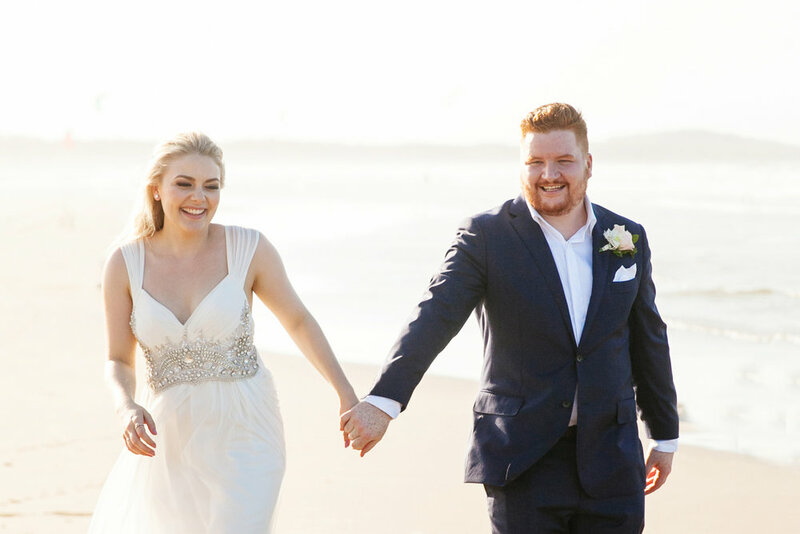 Noosa, Maleny and the Sunshine Coast have the most incredibly beautiful landscapes in the world, perfect for your wedding ceremony and bridal party location photography! 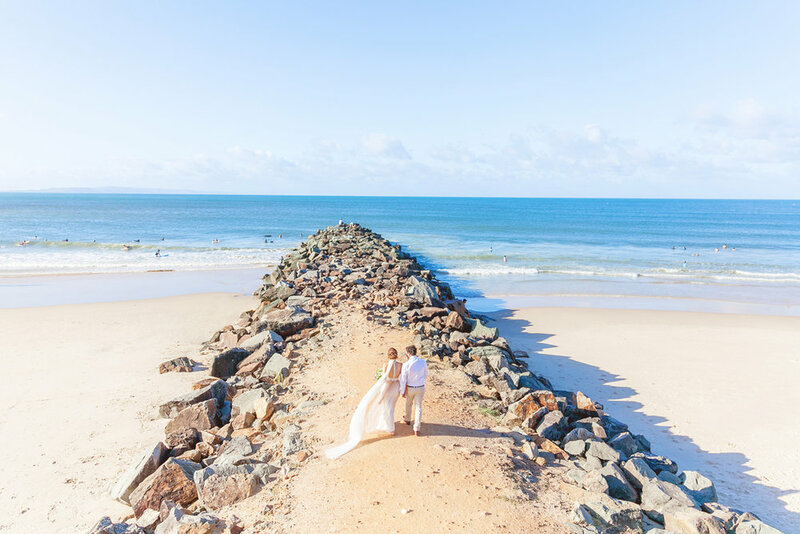 Noosa is the most stunning location for your beach wedding. 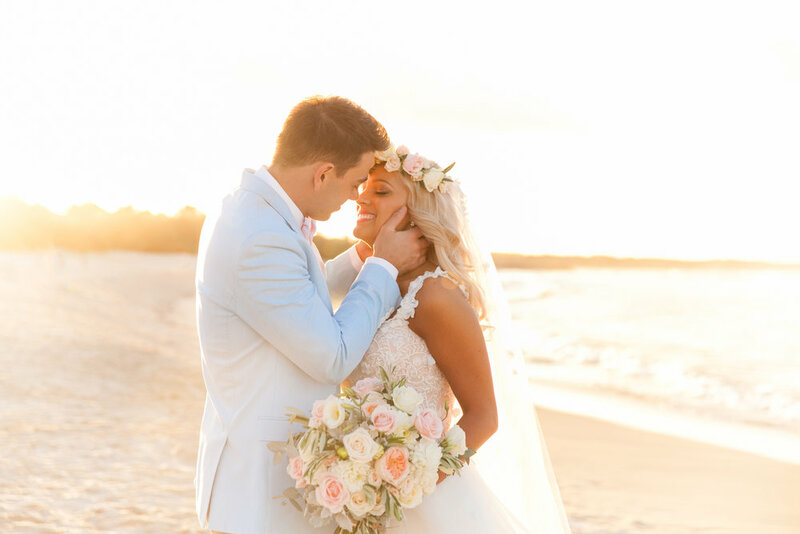 Noosa has groves designed especially for weddings where you will have a lovely manicured garden area for your ceremony that overlooks the ocean! My personal favourite is Hidden Grove (because it's a little more private) but Maison La Plage Grove is larger and equally spectacular! In addition to capturing the essence of your wedding day, I make it my mission to capture every tiny detail. The locket containing your special Grandma’s photo, the cufflinks your Dad gave you or the single yellow rose in your bouquet that represents your Mum… you get the picture. If you love stylish simplicity and clean lines, my modern luxury wedding albums will delight you! Together we design a wedding album that perfectly reflects your wedding day and reminds you how special your wedding was! We were absolutely blown away by the album you made us. It is amazing! Share your precious memories with family and friends worldwide with your private online gallery. Steve and I cannot wait to have you with us for our wedding! An engagement portrait is the perfect opportunity to get some photos of yourselves just having fun! You'll never forget this special time in your life with these sweet reminders! We can visit your wedding locations or mix it up with a different location to your wedding! Relax and enjoy your wedding day knowing I will create a collection of naturally beautiful images for you! I'll help you get organised so you can tick Wedding Photographer off your to do list and relax and enjoy your wedding day! After 10 years photographing weddings it's safe to say that I'm an Experienced Wedding Photography Specialist here on the Sunshine Coast! I’m best known for my light, bright happy photography style and my relaxed easygoing nature. We love our photos so much! Every time we look at them we re live our day over and over again and it brings the biggest smiles to our faces. You were so fantastic and we can not thank you enough for being a part of our big day! Thank you for being there and capturing our special moments! 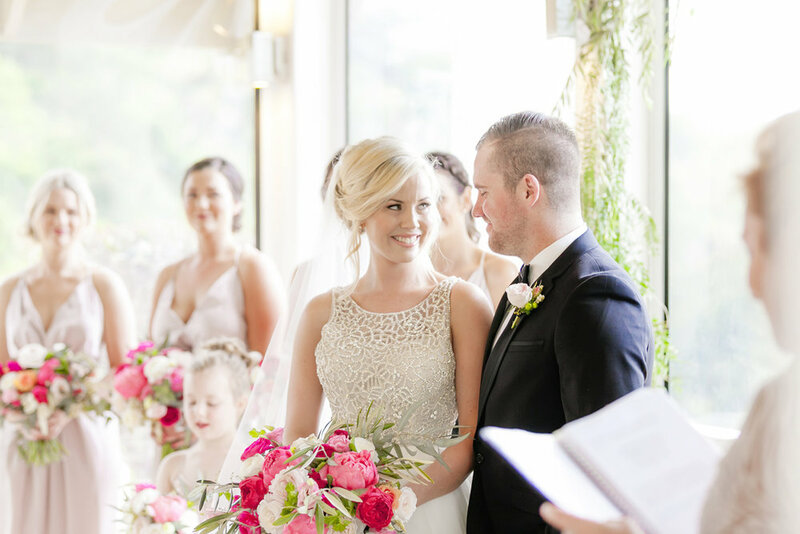 Karen is one of the Sunshine Coast’s most sought after wedding photographers! You well and truly exceeded all our expectations!! You captured our day perfectly with so many candid and heartfelt shots. Oh WOW!!!! You are an absolutely amazing photographer - we LOVE every single photo so much. You captured our day perfectly with so many candid and heartfelt shots. We can’t thank you enough. We loved meeting you and could not be more impressed with what you have given us. Thank you so much for our photos. They are stunning! Ready to take the next step? Although I regularly book out well in advance, I highly recommend we have a phone chat/Skype/Facetime or better still meet up in person! Then we can be sure that we are the right fit for each other! Yes! I'd love INSTANT access to pricing and more info! I’d love to hear your plans and what you’re hoping for! I’m here to answer your questions and make this simple and fun! Weddings: Tell me all your plans so far! I'd love to know the date, the venue, the style of wedding and anything else you'd like to share! I'd love to know where and when and how many people - you can ask questions here too!